Dealing with confrontation is never easy or fun. We like our day to be filled with people getting along and being kind to one another. Not drama. As much as we might try to avoid confrontation, it’s inevitable. We’ve all said or done things without thinking it through. 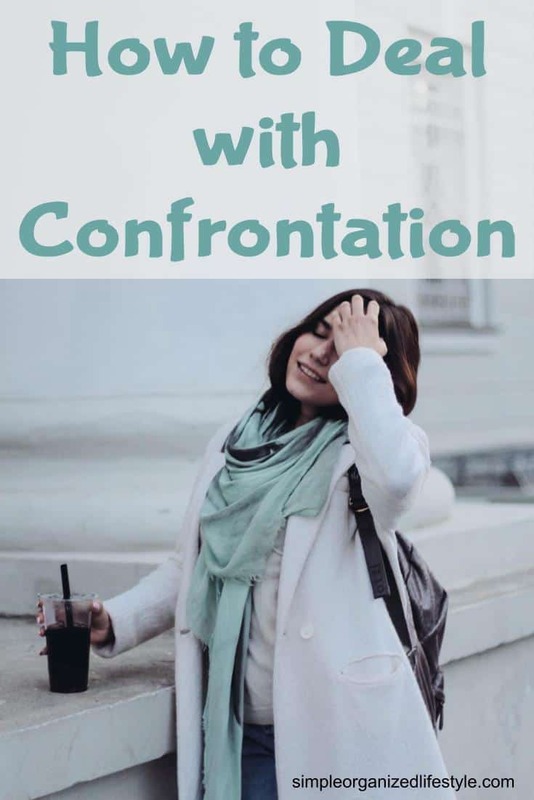 Avoiding confrontation can actually make a problem worse because it builds and builds to a point that causes us as much stress (if not more) than dealing with the situation. Confrontation can happen with a family member, friends, a colleague or a complete stranger. There may or may not be past conflict. No matter the situation, these 5 tips are helpful to consider when dealing with confrontation. 1. Address the confrontation with a question. Have I said something to offend you? Is there something I need to do differently? What can we do to move forward? These questions show that you are considerate of their perspective and genuinely want to resolve the issue. 2. Simply listen during confrontation. This approach may seem like avoiding confrontation but you’re actually meeting it head on. It might not be the reaction the other person is hoping for, but it can lead to a more positive outcome. I got one of my earliest lessons with this at one of my first jobs at a retail store. I was working good ‘ol layaway one evening and a guy came in to pay for and pick up his stuff. However, he had not made a payment within the terms and his stuff had been put back on the shelves. He was not happy. He used many “choice” words and it went on awhile. If I would have felt threatened, I could have called security but this guy just needed to vent and I was on the receiving end. I told him I would be happy to help him find those items again and I understood why he was upset. A couple of hours after he left, I got a phone call. That man actually called back and apologized for his rant! Sometimes simply listening is a strategy to deal with confrontation! 3- Stay solution focused in a confrontational situation. The best outcome is one with minimal “damage” and enough resolve to move forward. This requires staying focused on solutions. It’s easy in the heat of the moment to bring up other people or problems. Instead, always bring the conversation back to the solutions and moving forward. 4- Diffuse confrontation with your body language. Our body language can help us diffuse confrontational moments and make it clear we are seeking a positive outcome. This short video about body language to make a good first impression is also appropriate to consider when dealing with confrontation. 5- Take time to cool off and collect your thoughts. If you know confrontation is inevitable, take time to cool off and collect your thoughts. This gives you time to be more thoughtful with your words. It gives you time to think through solutions and approach the situation more proactively and less reactive. What if it goes from bad to worse? If you are in a confrontational situation and things go from bad to worse, end it. 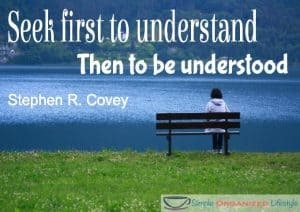 Let the person know you are not getting anywhere and need to talk after there has been time to calm down or, in the situation of a coworker, tell them you will have to continue the conversation with a supervisor. For the time being, you agreed to disagree and remove yourself from the situation. You approach a dog laying in the street and it’s wounded. You want to help it but it’s confused and hurt and growling. Despite the aggression, you still feel sympathetic and understand why the dog is acting the way it is. With people, we don’t often know or see what’s really going on behind the scenes. It doesn’t give them right to lash out, but, if we could only see underneath the layers, we’d probably have more sympathy to the situation. This is really helpful when trying not to take confrontation personally. What is the good news when we deal with confrontation? It paves the way for improving relationships, learning from the situation, and being grateful for healthy friendships. We learn. We grow. Stress is reduced. Many times it is the path to healing and forgiveness. Finally, that’s when dealing with confrontation becomes a good thing. What about you? Any tips for dealing with confrontation to gain a positive outcome? Great post Misty! I love the dog story you shared regarding wounds people have that we cannot always see. And you are so right that it’s important we understand conflict is not necessarily a bad thing. Thank you! Yes, sometimes conflict is the path to healing, which is definitely a good thing! I find many times it is easier for me to deal with confrontation with strangers (at work, on the streets) that with your close family. That is understandable as we are more open with the close family and they know us the best. Therefore, it is important to remember to not cross the line and say back the things we may regret later. That’s so true! I think it’s especially important with close family to take some time to calm down before confronting the issue.